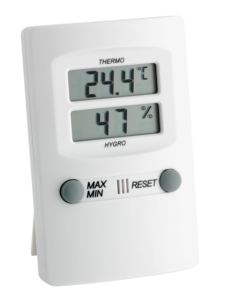 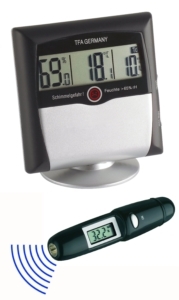 This thermo-hygrometer with high-gloss surface and decorative base is an ideal measuring instrument for monitoring the room climate. 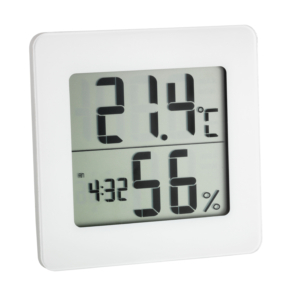 You can easily keep an eye on temperature and humidity and regulate it with targeted heating and ventilation when the values are outside the comfort-level zone. 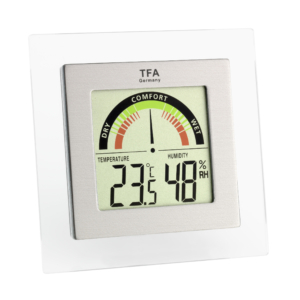 This creates a pleasant and healthy living environment and even saves on heating costs. 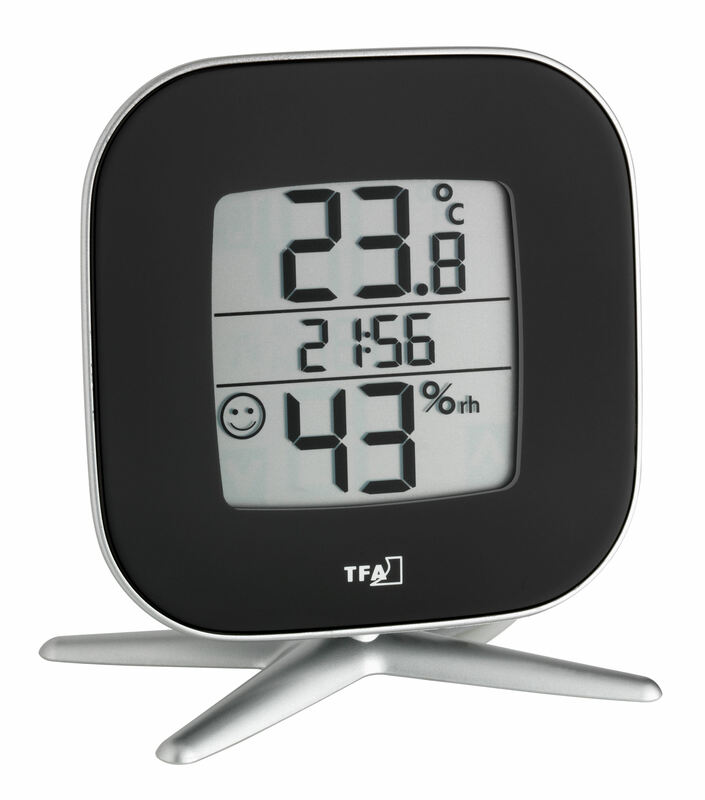 If a smiley icon appears, the values are ideal. 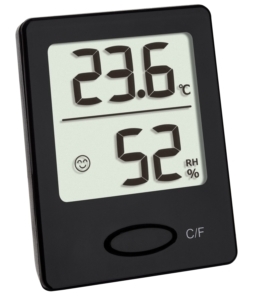 The highest and lowest values are stored and displayed at the push of a button. 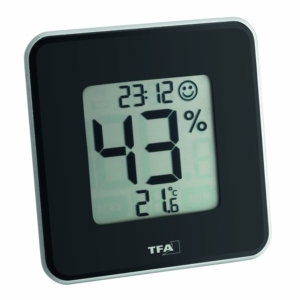 The station also has a display for the time.